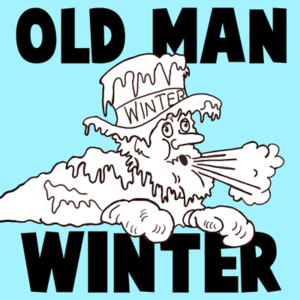 In hopes to help cheer everyone up on this cold March day.. Here is a Special! Each day the campers had a lesson. Some of the things we went over included: horse safety, different types of horse breeds, horse colors and their different markings, how to bathe a horse, body parts, how to keep a horse healthy and what signs to look for if they are sick, how to measure a horse, what parts of the tack are called, what horses eat, and what different types of jobs the horses may have. Campers rode every morning and afternoon. 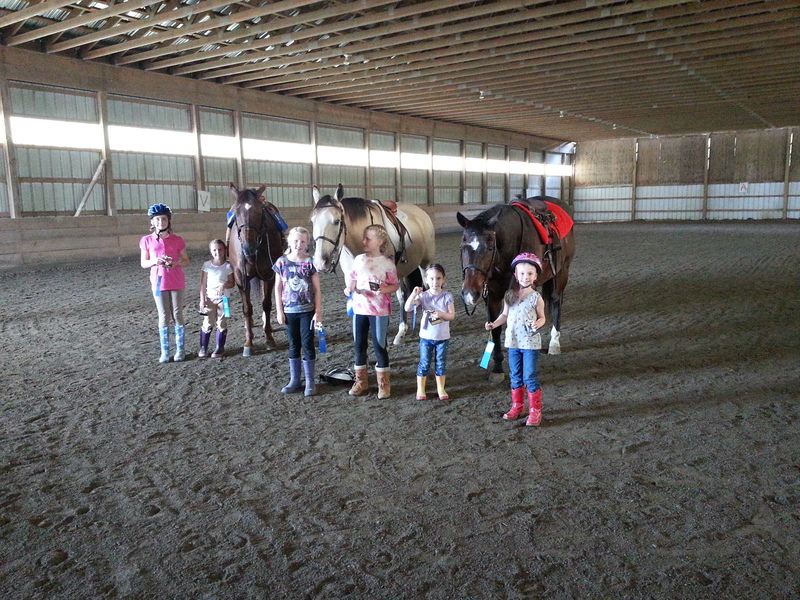 If they were not riding in the afternoon, they were learning about showmanship, the importance of the horse ground-manners, and how to properly lead a horse. 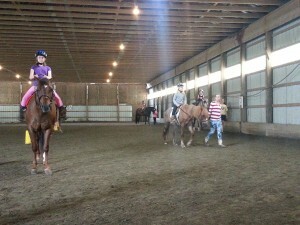 While riding, the campers learned how to steer, stop, walk, and have proper posture on the horse. By the end of the week some campers were trotting and posting along on the correct diagonal. 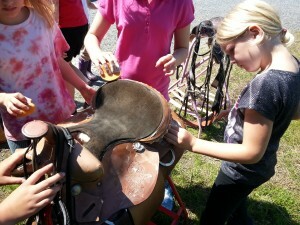 Campers were able to try both English and Western and rode 6 different lesson horses throughout the week. 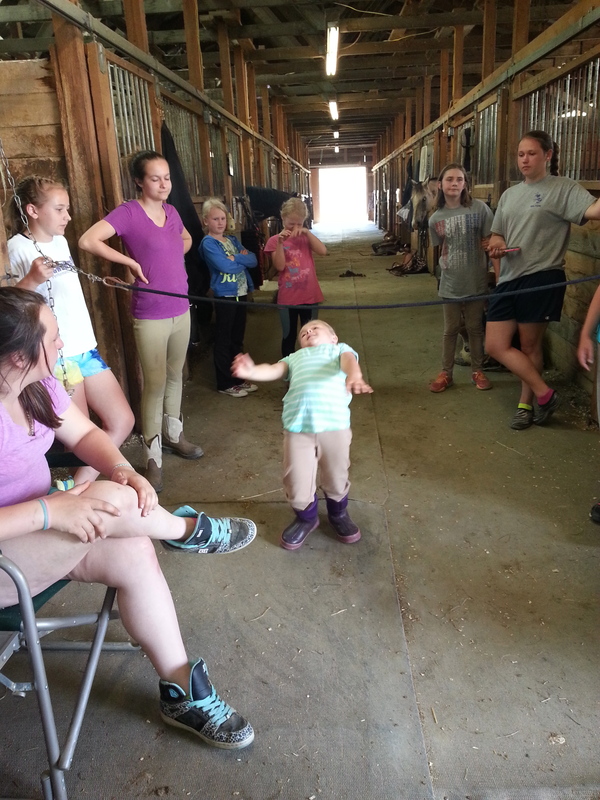 Campers went for walks on the trails and played games such as horseless horse shows, cross-tie limbo rock, red light green light, and frozen tag. During our afternoons we made crafts such as horse collages, t-shirts, and ribbons/numbers for our horse show at the end of camp week. On Friday we invited the camper’s parents/family/friends to come and watch all of their learnings and hard-work come together in an ELPH camp horse show. 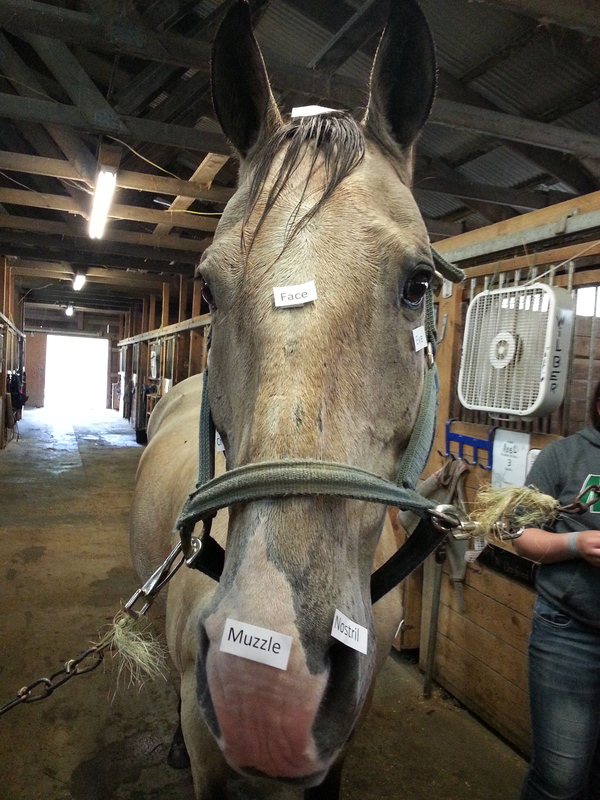 To prepare for the show the campers had to bathe Buzz, clean tack, and prep the indoor arena for the show. They made numbers for their backs, we braided manes and tails, made sure the horses were clean and groomed very well, and the campers all had their own hair braided with ribbons. By 2pm they were ready to compete! The campers were divided up into two divisions: A and B. We had two classes within each division: Showmanship and Equitation. 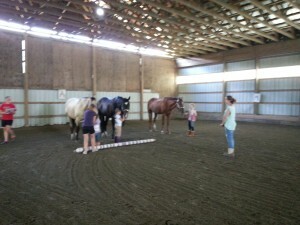 The campers learned an actual showmanship pattern used by the ELPH kids who compete at horse shows. The pattern was to: set up at cone A, walk to cone B, at cone B pivot, walk half way to cone C and back 2 steps, then walk to judge, set-up for inspection and do the quarter-system. These campers picked up on showmanship so quickly; I was in tears just watching how quickly they embraced one of my favorite classes. After showmanship the campers competed in an Equitation class. They rode around the ring in both directions at a walk, halted, backed up, and some campers were even asked to trot! 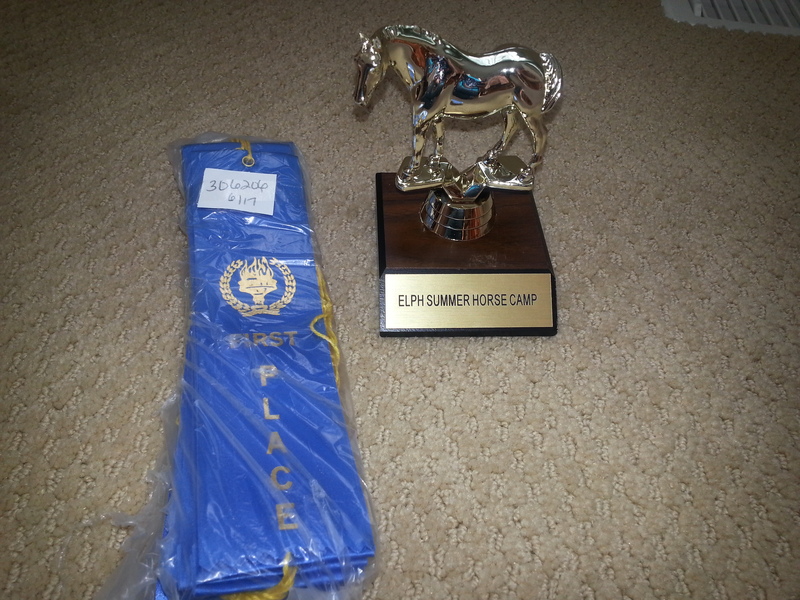 At the end of the horse show each camper was given a blue ribbon and an ELPH Summer Horse Camp trophy. 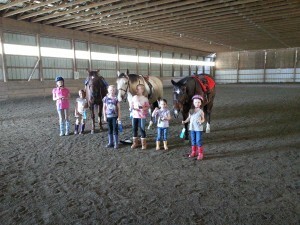 What a fun-filled week at horse camp! Thank you to our ELPH kids for helping out and making the week even more fun!